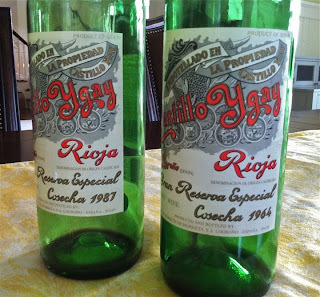 We drank several exceptional bottles of Rioja on Saturday night. Each of these wines was a special thing, something that could be the focus of a special dinner. I've had a little experience drinking mature wines by López de Heredia, and maybe a bottle or two by La Rioja Alta. But that's about it. So drinking these wines was a wonderful way for me to get a sense of some of the other great producers in the region. These wines also rekindled my thoughts about the objective an subjective in wine. The wine I liked the most was not, objectively speaking, the best wine. This is something that can be hard to wrap your head around as it's happening. For me, it can still be tempting to conflate favorite and best. We began by drinking two bottles by Compañía Vinícola del Norte de España, a famous Rioja producer whose wines I had never before tasted. You see this producer referred to as CVNE, which everyone seems to then pronounce as if it were spelled CUNE. The 1970 CVNE Viña Imperial Gran Riserva is the first Rioja we poured and I was blown away by the nose. 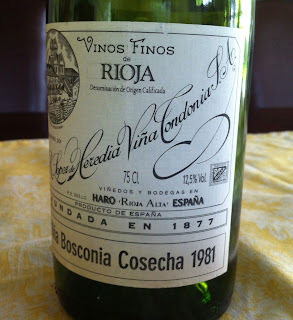 To me the nose was the epitome of Rioja. I could tell you that it smelled of leather and blood, and it did. But that could describe Syrah or wines from other places. There was just something particular about the sheerness of the aromas, the way they came together as a whole, that for me was a classic expression of Rioja. The wine was not as complete on the palate, but it was delicious and I loved it. 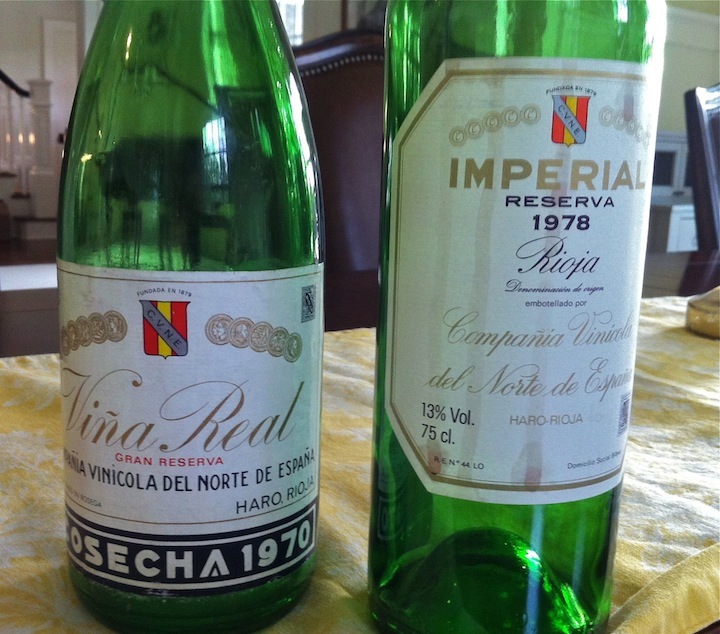 The 1978 CVNE Imperial Riserva was thought by everyone to be the better wine, and as the night wore on, revisiting them both, I do not disagree. Also lovely on the nose, but with a more floral aspect, and more complete on the palate, the wine was great. It made me think of Burgundy, in a way, and I got hung up on this after the essence of Rioja that was the Viña Real. It's perfectly fine that I preferred Viña Real, but that doesn't mean it was the better wine. We then drank 1981 López de Heredia Viña Bosconia Gran Riserva. I've had this wine several times and this was the finest bottle yet. Beautifully perfumed, incredible balance and detail, a truly spectacular bottle of wine. This wine is objectively better than the 1970 Viña Real, and I absolutely loved it. But I preferred the former on this night. By this time I understood what was going on - the experience I had with the clarity of the terroir as expressed in the Viña Real simply made a bigger impression on me than the great things about the other wines. We finished with two very special bottles, 1987 and 1964 Marqués de Murrieta Castillo de Ygay. Both were excellent. The 1987 was noticeably young, especially after drinking the other more mature wines. The 1964, however, that was a memorable bottle of wine. Perfect harmony and balance, everything so well integrated, a lushness to the composition but the feeling was nimble and bright. Fantastic wine, maybe the best of them all. And yet, I preferred the 1970 Viña Real! You know by now that I am not trying to say it was better, because objectively speaking it might have been the least of the five wines. But on that night it spoke to me in a special way. That's worth something too, and I am happy to be learning how to appreciate both the subjective and objective. We drank Bordeaux on the first night, and it was a first growth kind of evening. This is because the guys we were hanging out with have been collecting wine for a long while, and they are generous people who derive pleasure from sharing cellar gems with friends. Are you kidding me? Fugedaboudit. I have so little experience with wines like these - with every sniff and sip I am experiencing new thoughts. And on this night, we also drank a great California wine. A bit younger than the Bordeaux wines, but a great wine nonetheless. The 1991 Dunn Vineyards Howell Mountain Cabernet Sauvignon. If California used such a system, this surely would be a first growth wine. We drank it last, and it was fascinating to compare it with the other wines. First, there was this utterly stunning white wine. White Bordeaux is not something that I come across very often. This is as good as White Bordeaux gets, according to the Bordeaux cognoscenti. I've had Laville Haut-Brion one time before, the 1993 vintage, and it thrilled me. This one, the 1994, equally so. It really takes a while to open up and get going though. We saved a third of the bottle and 2 hours or so later on went back to it, and the wine was so much more energetic, pungent in its aromas, and vibrant on the palate. The particular combination of smells and tastes are unfamiliar to me - things like honeycomb and orange oil and lemon sherbert, all atop a subtle backbone of stone. Semillon is a strange grape. And this expression of Sauvignon Blanc, this is not something that you'll find elsewhere. The wine was fantastic, and a rare and true joy to drink. We drank 1980 Château Margaux. It was ridiculously good. One of our party was absolutely smitten with this wine, and he smiled and said to everyone who walked by, including waitstaff and other random patrons of the restaurant, "Hey - want to taste the best wine in the world?" It was sweet, because when they inevitably said "well, that does indeed sound good," he would pour them a taste. 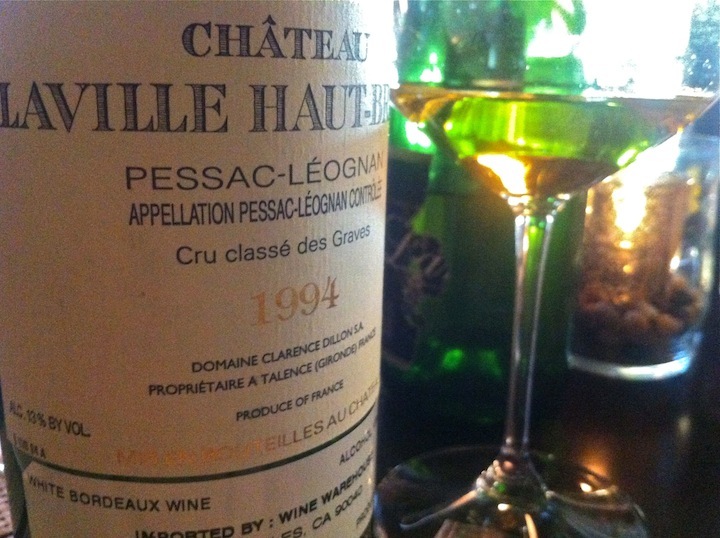 This wine was 33 years old, give or take, and it was fresh as a daisy. The fruit is still vibrant and sweet. The wine was knit together perfectly, with a rich bouquet of fruit and flowers, and although it felt exuberant, it was also entirely focused and perfectly harmonious in its balance. 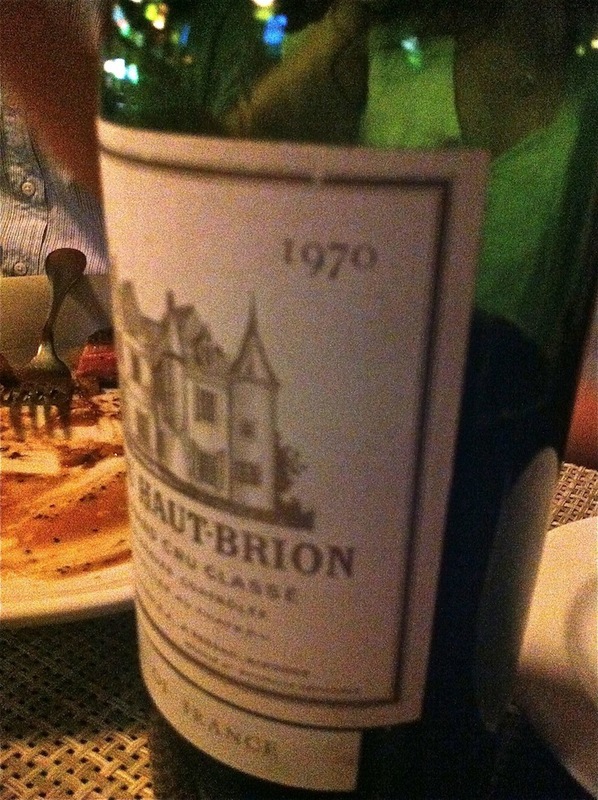 We drank the 1970 Château Haut-Brion. The 1966 was flawed. Not corked, but green and weird and entirely unappealing. But let's focus on the good news though, shall we? The 1970 was as great a Bordeaux wine as any I've ever tasted (not that that's saying all that much). There was less fruit, which makes sense - the wine is 11 years older. But somehow the wine felt more complete to me, even more perfect, if possible. The nose was just a grand thing, pointless to try and describe it. Full of energy, great depth and complexity, and a minerality that was so intense it practically shimmered. 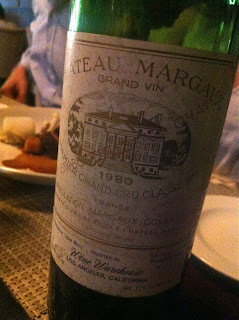 I know why our pal at the table was calling the Margaux "the best wine in the world." And I cannot say that one was better than the other because I do not possess the experience necessary to make such a statement. But I did agree with one friend at the table who said "I might have an affair with the Margaux, but I would marry the Haut-Brion." 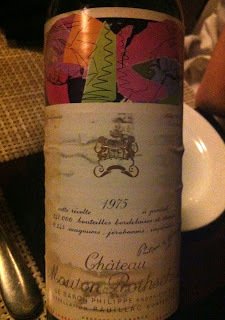 1975 Château Mouton Rothschild was a very fine wine, but it suffered for its company. Next to phenomenal wines like the Margaux and Haut-Brion, to me it simply was outclassed. Not that Mouton wasn't good, it's just that those other two were ridiculously great. I would be curious to drink it again on its own (or next to some less illustrious wines), as in this company it seemed to have less breadth, less overall impact. 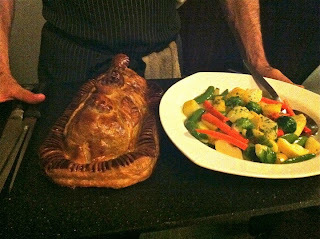 By the way, the chef prepared Beef Wellington for us to enjoy with our fine old clarets. I'm still not sure how this happened, but I now speak with a British accent. Could you tell from reading this that I have an accent now? 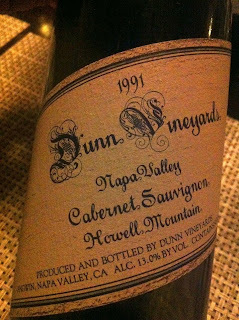 And then, we drank 1991 Dunn Vineyards Howell Mountain Cabernet Sauvignon. It was my first taste, as far as I can recall, of Dunn. Everyone at the table - everyone, spoke very highly of the producer, saying that the wine maker Randy Dunn does everything the right way, and that this is one of the great wines of California. And the wine was great, it really was. And I loved it. Again, I cannot say anything worth listening to about relative quality, that Dunn was better or worse than Haut-Brion, for example. But I can tell you what I learned by drinking them together. Haut-Brion's beauty, to me, comes from its complete and perfect harmony. The component parts are gorgeous - the fruit is pure and delicious, and musky in its age. The minerals shimmer, the finish has a life of its own. And the overall effect is of great intensity, showcasing all of the component parts, and also somehow this quiet sort of harmony. Dunn, and we are talking about a wine that is twenty-one (21) years younger here, does not feel to me as though it will ever have a quiet aspect to it, the way Haut-Brion, or even the more seductive and charismatic Margaux, are quiet. Dunn's fruit was darker, more brambly, and the acidity was younger, more intense. The thing that stuck out for me, however, was the structure - Dunn was structured differently from the Bordeaux wines. It has bigger bones, literally. The wine is built on a larger frame and then the fruit that goes on that frame is bigger. It's like comparing an offensive lineman with a tight-end. They play the same game, and at times perform similar functions. They can both be great football players. But in the end, they are best at doing different things, and maybe this fascination with declaring one as better than the other is misguided. We are luckly to have both. Especially on a gorgeous summer night in Rhode Island, with friends. You know how you have those weekends where you go out of town to a friend's house where a bunch of serious wine lovers gather over a few dinners to open and share truly great old wines? Big House Champagne and Grower Champagne are very Different from one Anther, and Big House Champagne is Good Too. We arrived after a long and traffic-filled drive, washed up, and joined forces with our friends at the Hourglass Brasserie in Bristol. 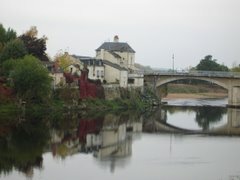 We were visiting a friend from our Burgundy Wine Club. 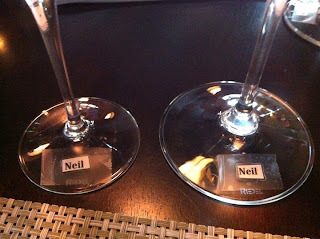 He and several of his wine pals set up a 5-course dinner at Hourglass so that we could enjoy good food and wine together. These gentlemen are an organized bunch. The very first thing we drank was a bottle of recently released NV Pol Roger Brut Réserve Champagne. Smelling and drinking this wine, I had a mini-epiphany about Champagne. It's not so easy to explain why this felt like a deep thought, but it did: big house Champagne and grower Champagne are very different from one another, and big house Champagne is good too. They are trying to do different things, and both types of wine have value. Sure, I prefer one style over the other, in general, but there are great wines made in each style. Pol Roger is a grand old Champagne house with a rich history, and a cuvée named after a British former head of state. I do not have a lot of experience with the wines - I've had maybe 4 or 5 bottles before this evening. But I drank this wine and I felt as though I finally understood something about the nature of big house Champagne. The wine is not trying to showcase purity of fruit, as do the wines of Cédric Bouchard, for example. The wines are not trying for a uniqueness in expression of character or terroir. When well made, a big house wine like Pol Roger's NV Brut achieves a striking balance, a focused harmony, a fine-ness of construction. The point of the wine is how well made it is, how fine it is, and that it is made in the Pol Roger house style. Pol Roger NV Brut did not thrill me (and that is a subjective comment), but I understood immediately that this is a well made wine. It was entirely focused and fine in its texture and flow throughout the palate, well balanced, and chalky and long on the finish. The wine had no deficits, it was not lacking in anything, and it was pleasing. And in this way it is successful. It reminded me of the Henriot Blanc de Blancs I drank in San Francisco a few months ago at Hog Island Oyster Company. A delicious, focused, and classic Blanc de Blancs Champagne. It did not thrill me the way certain other Blanc de Blancs wines thrill me, but its quality was unmistakable. It is classic, and speaks the language of Champage in its focus, balance, finesse, and chalky minerality. If I were at a wine store or restaurant and faced with a broad selection of non-vintage Champagnes, I would not choose Pol Roger's over Bereche's or Chartogne-Taillet's. But that is because I prefer those other wines, not because Pol Roger's is of lesser quality. This is the thing that became crystal clear for me this weekend at Hourglass. Pol Roger is also a very high quality wine. We've been conditioned in the past decade to think otherwise, as grower Champagnes fought for their place in the US market and as supporters of grower Champagne sought to define their niche. Appreciating these very different styles of wine need not be mutually exclusive. 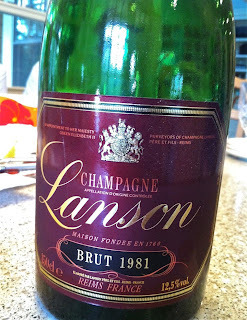 After we drank Pol Roger, we moved onto a bottle of Lanson NV Black Label from the 1960's - we were not certain of the exact vintage of the base wines. Lanson is another big house with a rich (and rocky) history. These are not wines that I would buy today, but older wines from the 60's and 70's are supposed to be of very high quality. This bottle was a great example - the wine was legitimately great. So well put together, so complex, so long, such great poise and charm. To hear Peter talk about it, he wine is was made in an era when grapes were picked at lower levels of ripeness than they are today, and at higher levels of acidity. And they did not go through malolactic fermentation, so the acidity is untamed, if you will. A wine made like this should age well, and this one has, feeling fresh and vibrant, with a mature and potent character. And by the way, this wine paired beautifully with almost everything we ate, from oysters to duck. 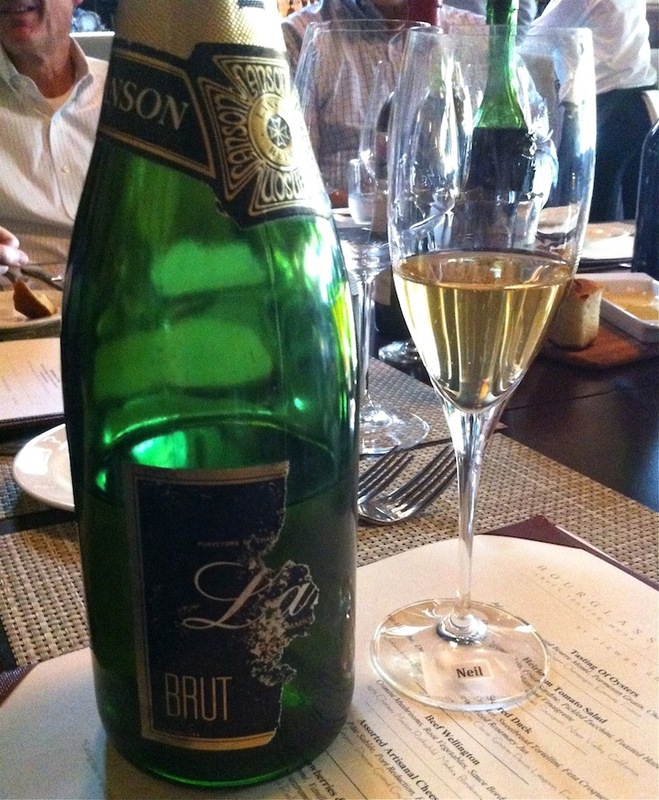 It's absurd to think that a modern grower NV Brut would show this same character after 40-plus years in the bottle. But it wouldn't be trying to - they are different, and both have value. 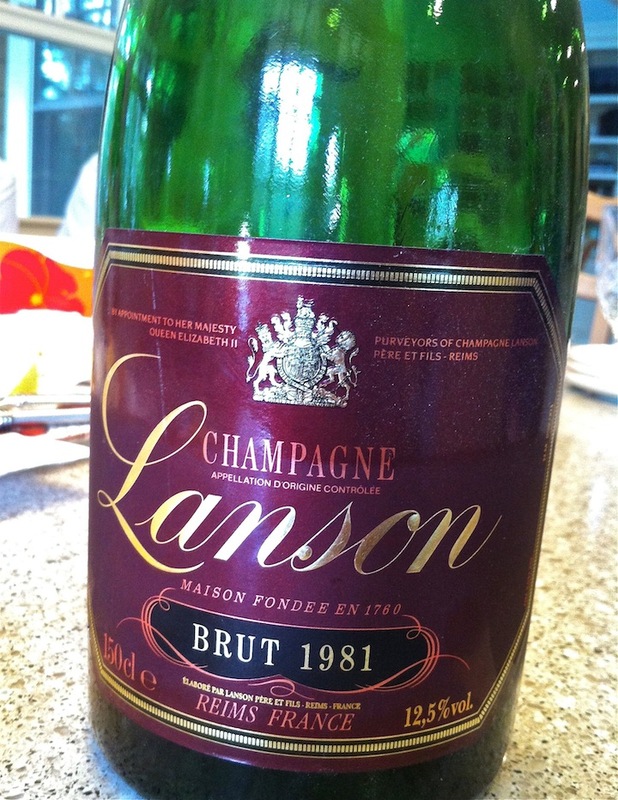 The following evening we began our dinner with a magnum of 1981 Lanson Brut Champagne. Initially I found the toasty notes to be distracting and I was not enjoying the wine so much. But an hour or so later, after letting it relax in the glass, the wine was delicious. It was deeply saline, focused and well balanced, and it felt completely harmonious. There is one thing that I've not said about the 1981 or the NV from the 60's (or the Pol Roger). 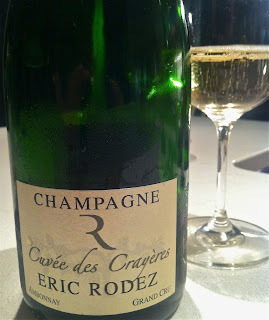 To my inexperienced palate, neither wine expressed much in the way of terroir, not the way some grower Champagnes can. Peter Liem could make a convincing case for how the Pol Roger and the Lanson wines express terroir, and he is correct. But to my palate, relative to today's grower Champagnes of similar quality, the wines are more about other things and less about terroir expression. They are about fineness of construction, and this is a valuable thing too. During dinner Peter said "Understanding these wines is part of understanding Champagne. Drinking grower wines without drinking and understanding these wines is like looking at modern art without having seem the classics." More soon - we drank loads of amazing wine and I learned several other scintillating things, which are sure to titillate you. I recently spent a day in Detroit. It was a work trip. But two old college friends live in the area and so after work there was an evening of Detroit fun. And we had a great evening, which I will tell you about in a moment. But first, you may have heard something about Detroit in the news recently, something about bankruptcy. It's true, the city filed for bankruptcy. The thing is, and I can say this with only a little bit of familiarity with the city, Detroit has been a mess for at least 15 years now, and probably longer. Office buildings in the downtown area sit abandoned. Entire office buildings. Neighborhoods are depleted of people, home after home burned out or boarded up, huge weeds and other greenery rising up and reclaiming the space. The new urban jungle. Maybe 600,000 people live in Detroit now, down from 2 million at peak, maybe 50 years ago. There are almost no new jobs. There is no smart way for the city to provide basic services, like picking up garbage, when perhaps only ten families live in a 5 square block radius. Detroiters like to tell you that their city is so big that San Francisco, Boston, and Manhattan combined would fit within its borders. And yet many of its residents do not own a sea-worthy automobile. But there are new sports stadiums, casinos, and a convention center. I hear about how the South Bronx is the poorest urban congressional district in the US, but it cannot be - it must be Detroit (or New Orleans?). Driving though this city made me feel like I was in a forgotten place, a place that was devastated and then never rebuilt. There is a set of large housing project buildings you see when you arrive from the airport on the main highway, all completely abandoned. Graffiti on top of one reads, in huge white block letters, "Zombie Land." And yet the people I met at work were people who believe in their city and are working to help rebuild. And my friend from college who now lives in Detroit with his wife and two sons - he loves it. He says that he has learned to appreciate the beauty of the barren cityscape, the bones of the old buildings. He showed me the new park/performance space in the city center, office buildings that are now occupied after sitting vacant for 20 years, and new hotels, cafes, and restaurants. He told me that there are people investing in Detroit, and that there are good things happening, that this place is full of potential. After 24 hours and a bit of a tour, I can feel it in my gut - I agree with my friend. It is an oddly beautiful place. And there is plenty of room for intrepid and creative people to make their dream a reality. Detroit is urban America at rock bottom, and so there is no where to go but up. Slows Bar BQ is part of the upswing. We went for dinner on a Thursday night and there was a 90 minute wait for a table. In NYC that would be a big turn off, but here in Detroit we were happy to hang out at the bar and enjoy a few pints of locally brewed pilsner. In NYC, why wait for food - there are 6 gajillion places with interesting food here. In Detroit it felt great to be in this airy and beautiful space bustling with people of all ages and types, woodsmoke in the air, good music and good vibes too. And then the food came, and it was genuinely excellent. Slows is serious BBQ, without question. We ate baby back ribs, tasty sides, and my friend had a pit smoked ham sandwich that was ridiculous. My favorite part of our dinner was when our community table neighbors saw me staring longingly at their St. Louis style rack of ribs, and insisted on sharing with us. Yes, they ripped a hunk of ribs off their own plate and passed it on down. There was also the check, which came to something like 75 bucks for four pints, a big dinner, and a few glasses of good rye whiskey which we shared with our generous new St. Louis ribs friends. Slows. I'm in, hook line and sinker. After dinner we went next door for a last drink to a bar called the Sugar House. Photo above courtesy of Hell Yeah Detroit. Now, if you've been reading my blog for a little while, you know that I like to poke fun at the whole cocktail craze thing, in all of its hipster insanity. I mean, I like a good cocktail because I enjoy the way it tastes and feels, and I like the act of drinking it with friends. The idea of going to a hipster joint to drink a foodster drink, merely for the purpose of being a foodster...that doesn't excite me. So in NYC I would poke fun at the guy in the picture above, the dude in the top hat. In NYC it would be trying too hard. Although it does have a certain vampirish quality to it that might make it okay. 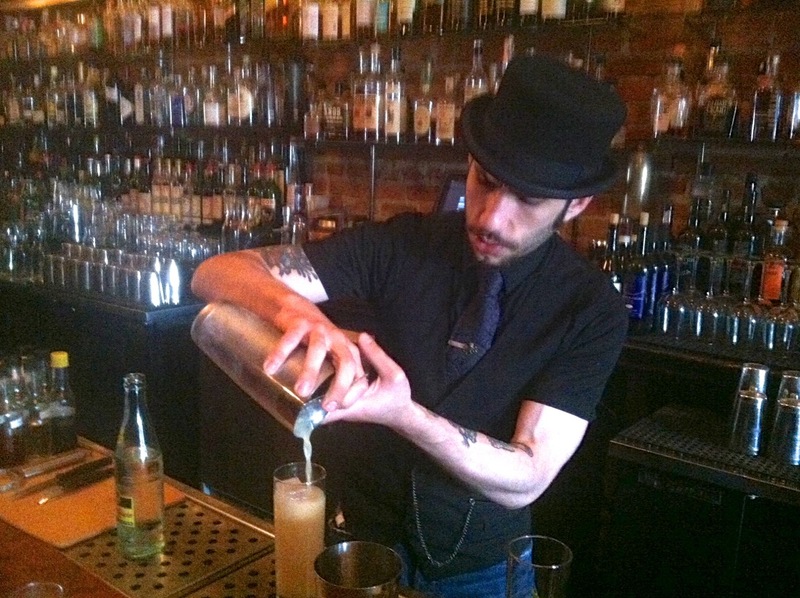 This guy, Yani Frye is his name, made us our drinks at Sugar House. He was disarmingly friendly and he exuded this happy-as-a-clam aura. He is a guy who is genuinely happy to be making serious cocktails for Detroit. And without a trace of attitude, regardless of what the top hat might lead you to expect. His bar has no fewer than 6 big game busts on the wall including several bucks with complicated antlers. The lighting is mason jars, the vibe is unmistakably Brooklyn. But why shouldn't Detroit have a spot that uses this atmosphere (and top hat style costuming) to communicate its aspirations as a serious cocktail bar? It's all part of the Detroit upswing.The drinks were really good, by the way, by any standard. And then we walked past the abandoned train station to our car and I slept in a hotel connected to a casino. Slows was my idea, by the way. My friend tells me there are other places that I would love. Next time I'm in Detroit, which I hope is soon, I will take him up on that. Warning: I am about to write about an expensive wine glass, and I will suggest to you that it is the best of its type, and worth the money. And furthermore, that if you pay good money for good wine, you should buy this glass if you have not already. Why the warning? A lot of folks think that wine glasses don't matter, and that appreciating good glasses is snobbery or snake medicine. These people are wrong - there's no other way to say it. It's not entirely their fault, though. There is an unfortunate snobby culture that has been part of the modern history of wine appreciation and people might mistake the idea that some glasses are better than others with the false notion that you must use a certain glass to drink wine correctly. This is obviously not true. We have all had memorable experiences drinking wine out of bad wine glasses. It is not necessary to have the best glasses in order to enjoy a wine. That said, some glasses really are better than others. A good Burgundy glass, for example, allows a good Burgundy wine to show more of what makes it a good Burgundy wine. If you drink a wine out of different glasses, the wine will show best in one of those glasses - there is a difference. And I'm not suggesting this in a snobby way - there is no "right" way to drink wine, and you should do whatever makes you happy. But there is something to this, this glassware thing. If you are someone who will spend $75 on a bottle of Champagne, for example, you might consider experimenting with different glasses. You might find that the wines you care about actually show better, given certain glasses. There are few instances in which I feel that I know which glasses are best. Here is one instance: Champagne shows best out of Riedel Sommelier Series Vintage Champagne glasses. In the above photo the Riedel Champagne glass is on the left. It is a flute, basically, and this is not the fashionable way to drink Champagne these days. 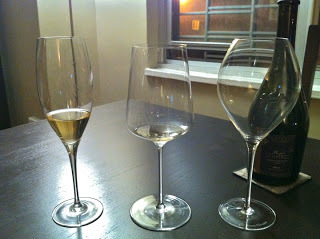 People like to drink Champagne from wider bottomed glasses like the Zalto (the middle glass in the above photo), or even from a Burgundy bowl. To me, the flute is the riskiest way to drink Champagne. Bad flutes (which to me are most flutes) restrict the aromas and flavors. But this is no ordinary flute. It is wider everywhere, and widens even more above the glass's halfway point. I cannot say that I understand the science here, but I appreciate the results. This is not my discovery, by the way, Peter Liem first told me about this. The photo above was taken at his house in December as we drank 2002 René Geoffroy Cuveé Volupté out of three different glasses. I went in with an open mind and there was no mistaking it. The aromas were more focused in the Riedel glass and yet still expansive and complex, and it just moved onto the palate better, feeling more balanced. I had tried drinking Champagne out of this glass before, but after this experiment I literally refused to open a bottle until I bought a set of these glasses for myself. This, my friends, is an expensive proposition - they are about $75 a stem. But I own some decent Champagne, and the value this glass adds to the experience of drinking Champagne makes the glass worth more than its dollar value. The first Champagne I drank from my new glasses was the 2008 Marie-Noëlle Ledru Rosé de Saignée. It's not a wine that emphasizes fruit, instead feeling very mineral and earthy. In the Riedel glass the wine's subtle fruit flavors mingled with the more intense minerality, and the wine showed perfect balance. 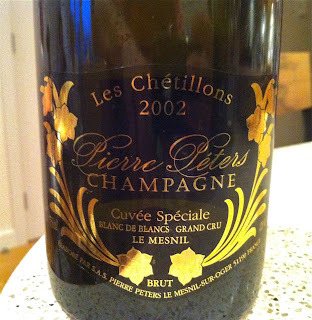 The 2002 Pierre Peters Blanc de Blancs Les Chétillons is a stunning wine, and in this glass the aromas were positively regal and flowing. Incisive chalk, green tea, and floral aromas, just beautiful and complex aromatically, and very finely detailed on the palate, which builds in complexity through the finish. 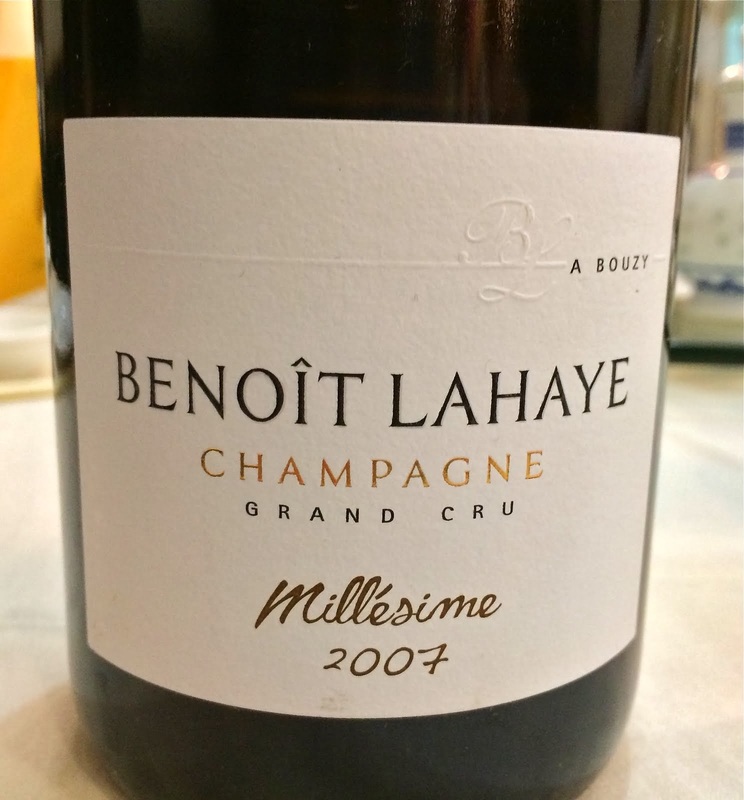 Amazing wine, and although I did no empirical testing, it's hard to imagine a wine glass that would be a better medium through which to experience this Champagne. 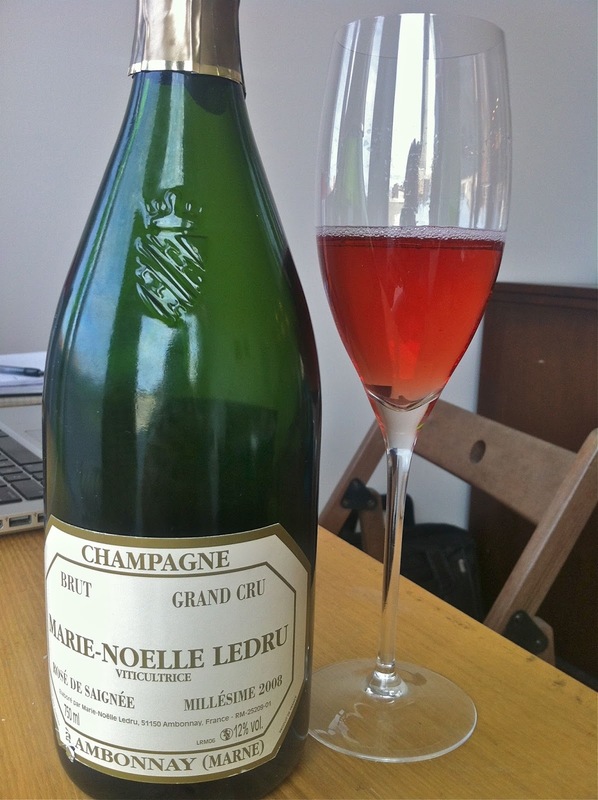 What about Champagne made from red grapes - would a Pinot Noir based Champagne also show as well? From what I've seen, the answer is emphatically yes. It's not about displaying the fruitiness of one kind of grape. What makes this glass special is the way it amplifies detail of aroma and flavor while facilitating balance, and this is not grape-specific. 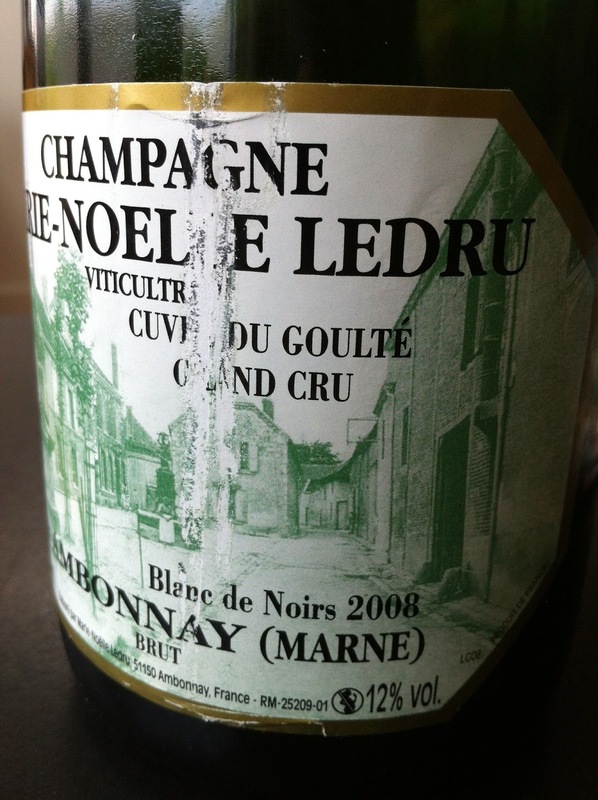 Not long ago a few friends and I cracked a bottle of 2008 Marie-Noëlle Ledru Blanc de Noirs Cuvée Goulté, you know, just to see where it is. Although young and tightly wound, in this glass the wine's bright and energetic fruit shows through brilliantly, as does the vibrantly chalky floor on which everything rests. 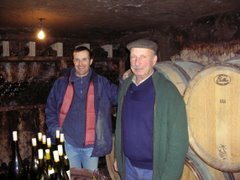 The next day I poured a small bit into a Burgundy bowl and a Zalto universal and in both cases, the aromas were more diffuse and the overall experience less pleasing. The other night, on Peter's birthday, (and because of his generosity - he gave us this gift, on his birthday) I had the opportunity to drink a very special wine. This is one of Selosse's single vineyard Champages. It comes from the village of Aÿ, from a vineyard called La Côte Faron. 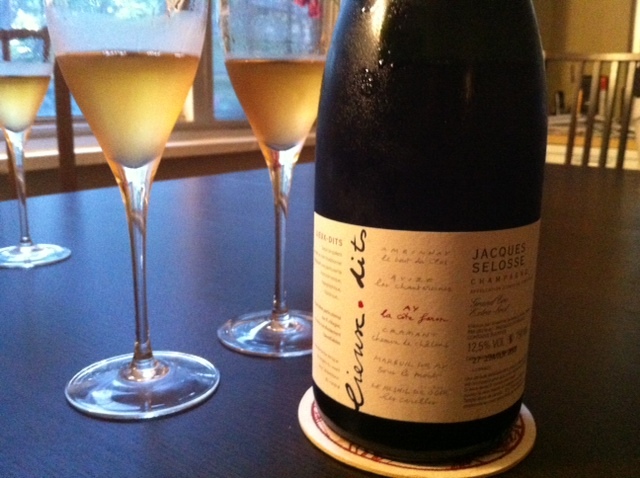 Selosse began the mini-solera for this wine in 1994 - there are wines that are19 year old in the blend! Until recently this wine was called Contraste, but Selosse has been releasing a series of single vineyard wines in the past few years and this one is among them, its name now La Côte Faron. The wine is gorgeous and there are many fascinating things about it. One thing I was conscious of as we drank it (over 4 hours) was glassware. We drank it out of the Riedel glass. But this wine is made entirely of Pinot Noir, and is composed of wines from vintages 1994 - 2003 (the current release includes some 2004 I believe - this one was released a few years ago). Would the inherent complexity, the aromatic expansiveness be compromised in the flute-shaped glass? No, as it turns out. I didn't try the wine from a Burgundy bowl, but drinking it out of the Riedel glass was enough. The wine, especially after a couple hours open, showed incredible breadth, complexity, and detail, but in this glass was also entirely chiseled in its focus. Here is a wine that I love, but have yet to drink out of the Riedel glass. Éric Rodez Cuvée des Crayères is a wine that comes entirely from Ambonnay, but it is not a Blanc de Noirs. It is a blend of a little more than half Pinot Noir and the rest Chardonnay, and it is a blend of several vintages - in this case the base wine is 2008 and there are reserve wines from 2007 back to 2002 in there. In this way it is reminiscent of the Selosse wine - the wine has an intrinsic complexity due to the high proportion of reserve wines. Okay, it's not Selosse, but it's not trying to be. And it is $55 compared with the $400 you'd spend on La Côte Faron if you could locate a bottle in the US. I look forward to seeing what this wine is like in the Riedel glass - maybe some experimentation with other glasses is in order.